Pelican Motel – If you need a family-affordable place to stay right on the beach, the folks at The Pelican Motel will take care of you. Grand Strand Resorts – For top-notch condos and great oceanfront condo rentals, check out Grand Strand Resorts for all of your condo rental & vacation rental needs. Vacasa – Search Myrtle Beach area rental properties and book online with Vacasa. NorthMyrtleBeachHotels.com – Search all area hotels and find the best hotel rates to book online. Children’s Museum – Educational for your family, the Children’s Museum is a great thing to do when it’s rainy outside. Mini Golf – Another fun way to spend the day outside when you’re not fishing – mini-golfing! Bird Island – During our charters, we’ll show you Bird Island (located on the NC/SC border) and we can explore the secluded beach together. 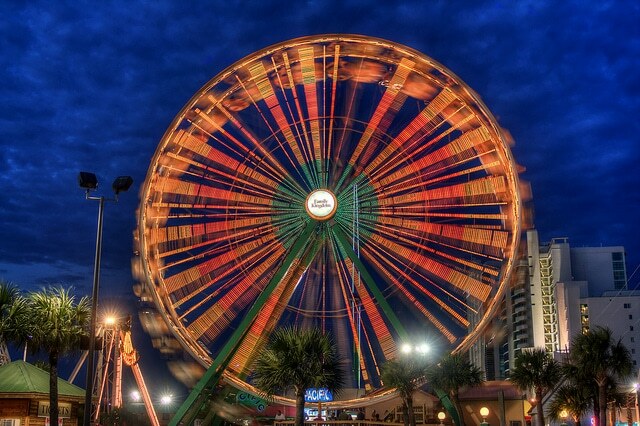 MyrtleBeach.com Area Guide – Check out the in-depth things to do guides from MyrtleBeach.com and plan your vacation here. Visit Cherry Grove – Area information website all about North Myrtle Beach’s section of Cherry Grove. Ocean Isle Beach – A short day trip from the North Myrtle Beach/Myrtle Beach area is beautiful Ocean Isle, NC. Myrtle Beach Area Webcams – Enjoy a view from the beach at your home with the fun Myrtle Beach oceanfront webcam view! IRT Reels – High quality machined reels that we prefer for the “big fights”. Shimano Reels – Everyday reels perfect for all inshore fishing. More reels to check out here. Carolina Skiff Boats – The best boats for our hybrid inshore-near shore fishing approach. Yamaha Outboards – Reliable & gas-friendly, our boats are powered by Yamaha motors. Like us on Facebook and share your review & fish story! We’d love to connect with you.